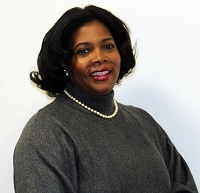 Willette Glenn is a senior IT professional with extensive experience in project management, application development, customer service, team building, and improving the customer experience. A twenty-year veteran of PepsiCo, Willette is currently the North America service desk senior manager in charge of infrastructure, password, and extended support teams, supporting more than 50,000 customers. She built and manages the service desk automation team, responsible for developing and deploying more than 20 large- and medium-scale solutions for customers and agents.